We joined Gospel Missionary Union in 1970 to go as church planters to France. After language studies, our first church planting experience for 9 years was in Lyons, the 3rd largest city in France, located in the Rhone River Valley in the central eastern part of the country. After a period of two years as a Bible teacher for high school seniors at Black Forest Academy in southwestern Germany and helping a church plant in the suburb of Mulhouse in Alsace, France, we moved to Marseille, the second largest city of France, in the southeast for our next church planting experience which lasted 15 years. It was during this time that we were involved in a building project for the new church and we transferred to EFCA Reach Global International Mission. Toward the end of our 40 years of missionary service living on-site in Europe, we were involved in leadership training for elders and young pastors in Brussels, Belgium – capital of the European Union. After retirement in July 2010 we are still very active in home missions and also foreign missions. Jim launched “Men’s Discipleship Partners” following the annual men’s breakfast of January 2010. There are annual men’s discipleship breakfasts, bi-annual discipleship rallies, a series of five seminars, and one-on-one discipleship and training. At the breakfasts (an attendance of about 300 men), there is a speaker, table discussion times, and the possibility to sign up for individual discipleship. Following the annual breakfast there are five seminars (30-40 in attendance) which take place once a month (Jan. – April) on the essentials for discipleship and growth. The rallies take place twice a year in the spring and in the fall which deal with specific men’s issues and serve as a point of entry into Discipleship Partners. Jim also assists in Biblical training of qualified leaders for the Bhutanese immigrant ministry in our home church. He also serves as a consultant for church planting. Millie is also involved with the Bhutanese women, both Christians and Hindus which is very effective and much appreciated. Every year in the spring, Lord willing as health permits, we’ll go back to Europe, ministering to churches where we have served in the past in Belgium and France. 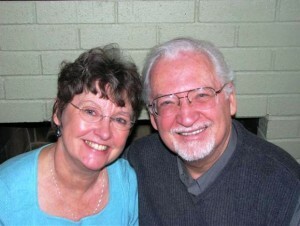 During these times Jim is involved in preaching, teaching, training and counseling. Thank you for your prayers for health, stamina and spiritual fruit.